In Needham, people downsize for a variety of reasons, from the “empty nest” syndrome to convenience or hardship. Here are a few things to consider as you contemplate moving to a smaller home. “Before any move, focus on how you want to live. People don’t think enough about why they’re moving,” said Mary Jo Zeller, director at Gero Solutions, which manages moves for seniors. “Increasing numbers of downsizers these days want to exchange the worry and expense of maintaining a large property, for the luxury of low maintenance and the opportunity for more leisure time.” It’s important to also think long term. 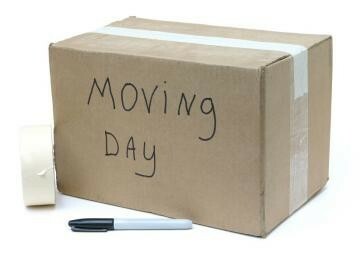 Someone once said to me “move in strength” meaning downsize now while you are in good health and can enjoy your new home. While you may be strong now, things like stairs or even a tub-shower that requires a large step to get into can become serious problems down the road. It’s important to keep these things in mind when selecting your new home. I find in Needham emotional ties to the family home is one of the main barriers to downsizing, but equally, deciding where to move to, and what style of property will best suit, can be just as daunting a prospect. During the downsizing process you may be surprised at how attached you have become to your possessions and how difficult it might seem to part with them. A good tip is to start getting rid of your items a few months before your move so donate, recycle, e-bay and give away some of those items you really don’t need anymore. You will reap many benefits. Your move becomes much easier, your current home will be less cluttered and more attractive to buyers, and your new smaller home will be less cluttered as well. Decorators recommend sketching floor plans for your new home to see where all your current furniture will fit. You shouldn’t wait until you move in to discover that there’s just no room for that armoire or your extra stools. For those already on the top of their property ladder in Needham, they may find that reversing course and heading down is the right decision for them.